At Finan Home Service, we believe in taking the necessary time to understand your situation thoroughly so that you get what you want and we don’t miss any important safety hazards in your home. We help clients by solving immediate “break fix” problems or by providing quotations for future work that involve heating & cooling, electrical, electrical compliance certificate, plumbing, and service plans. We also believe in providing prices for our products and services up-front, so that you, the homeowner, understand what’s involved before we get started. If the problem in your home requires immediate attention or the problem can be solved by one of our technicians with the assistance of our “Warehouse on Wheels” then we will dispatch our technician to arrive in a two-hour appointment window. When the tech arrives he or she will fully diagnose the situation and make the appropriate recommendations for solving this problem and avoiding future problems. Many problems we are asked to quote on are non-emergencies or the work cannot be completed at the time of our service call. Installing a new furnace or air conditioner. Re-doing the old galvanized plumbing pipe in your home. In these situations we are happy to send a Comfort Advisor to your home at no cost (in most cases) and they will take the time to learn your situation and make recommendations with firm prices for the repairs. These appointments can be booked to suit your schedule in most cases. Our Client Service Representative will be happy to book a convenient time for you. 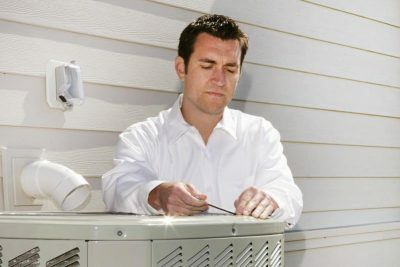 Questions about repairing your AC or HVAC system?